Today I bring you a delicious pork recipe. Pork isn’t always my favorite meat to make unless it comes in the form of bacon or an old fashioned bone-in ham however this recipe for pork tenderloin is easily my third favorite way to eat pork plus you have an excuse to drink the rest of the wine. Now who doesn’t love that? Pork tenderloin is easily the most tender cut of pork you can buy add the wine and now you have pork that literally melts in you mouth. 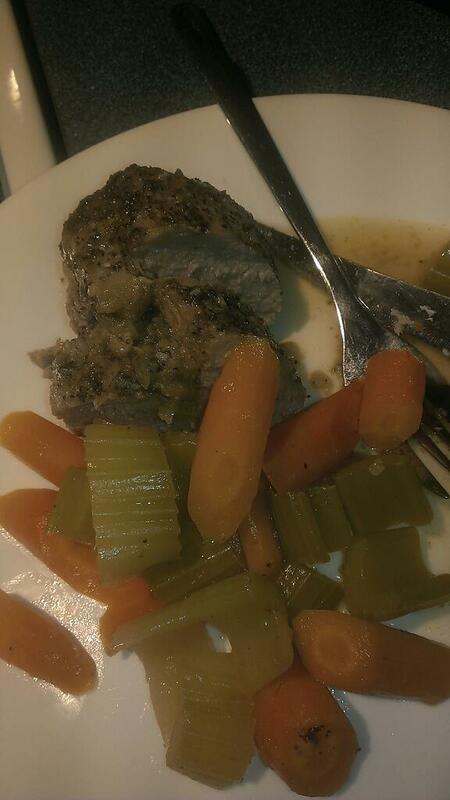 Cut slit along top of pork and stuff with pureed garlic. Rub pork with the oil and rub in salt, pepper and sage. Place vegetables in the bottom of a casserole dish and place pork on top slit side down. Pour wine on top and bake till cook basting every 15 – 20 min. Cook until pork reaches an internal temperature of 160 F or until juices run clear. This will take about 60 min to fully cook.